Busy professionals in Boston spend a great deal of money building a clean, professional image for themselves with quality blazers, polished shoes and dress shirts made with the finest fabric. It’s counterintuitive to bring these nice clothes home only to toss them in a pile at the back of a cluttered closet. Outfits which were so impressive at work suddenly become wrinkled and require ironing or dry cleaning to make them look new again. Don’t demolish your wardrobe just because it’s inconvenient to care for it. Enhance your space with innovative organization techniques and find hidden space you never knew you had. Closet organization and storage is possible with Boston Closet Co.’s streamlined design solutions. Adjustable shelves. Adjustable shelves are great for a variety of reasons. Styles and storage needs vary greatly from season to season. A space that comfortably stored lightweight summer shorts and t-shirts might need to expand to accommodate sweatshirts and jackets in the winter. For ladies, rearranging your closet space might mean putting flip flops on a higher shelf with tall boots closer to the ground. In either scenario, it is wise to invest in shelving units that can be adjusted to use only the space needed. Foldable valet rods also make it easy to hang pants and slacks to keep them wrinkle-free and out of the way. Belt and tie racks. How many times have you reached into a drawer only to find yourself caught in a vicious game of hide-and-seek with the belt or tie you wanted to wear? These items were never meant to be thrown into a drawer and hidden from the light of day. They were meant to be displayed in an organized manner to help keep ties from wrinkling and belts from getting damaged. Invest in a quality belt and tie rack in the closet to maintain the integrity of these items. Fold-Away Mirrors. Mirrors take up a great deal of wall space that could otherwise be used for additional shelving, drawers, or cubbies. Get a mirror that folds back vertically into your closet unit to save space and maintain the functionality of your room. Hidden hampers. Laundry baskets take up floor space and cause trip hazards in the early hours of the morning when it’s common to wander into the closet while less than completely awake. Solve this problem by installing a built-in hamper. These can be disguised to match the wood of your existing closet unit or even to look like drawers! Hide your laundry away from prying eyes and keep it off the floor. No more stubbed toes or unsightly piles of dirty clothing. Discover space in expected places with these simple closet installations and organizing ideas from Boston Closet Co.! With these ideas your closet can go from drab to fab in just a short period of time. 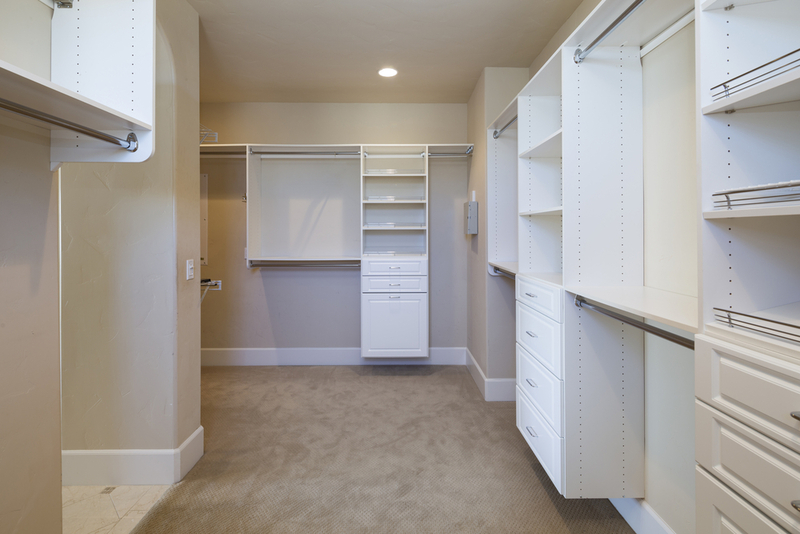 For expert advice, call today and talk to an experienced home storage designer during a free in-home consultation. Your clothes will thank you!